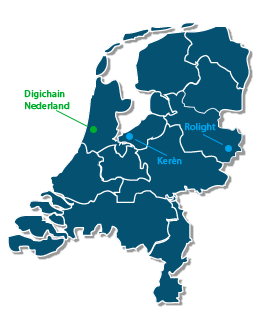 Digichain Electronics Nederland products are solely being sold throughout our selected network of dealers in the Benelux. Do you wish to become a dealer? Please contact us by email or give us a call +31 (0)85 2019688. We are currently looking to expand our business to other parts of Europe. Digichain Electronics products are also available for international sales. For delivery in the Netherlands, please use one of our distributors. International sales are processed through our own sales portal on this website. Register your account here. Our sales team will contact you to arrange the order conditions. After authorisation you are able to purchase via our sales portal!